Increasing your metabolic rate is one of the easiest ways to get in shape and lose weight. Below are five exercises that boost your metabolism - and they're frugal, using only your bodyweight. The primary purpose of these exercise is to get your heart rate up, which kickstarts the Afterburn Effect - a major boost to your metabolic rate and starts a fat burning process in your body. You should do the exercises until your heart feels tired, and then rest. Best of all, these are exercises you can do every day, for 1 to 2 minutes each. 5 to 10 minutes per day isn't much, but if you are getting Afterburn Effect going then it will give you more energy for the rest of the day as you will feel more energetic, more alert, and you will be burning fat for approx. 24 to 48 hours after the exercises. Do them every day, and the Afterburn Effect is extended and multiplied, causing rapid fat burning. Note - If you have a known heart condition you should consult your doctor before doing any exercises which could effect your heart. Step-Ups - use a step or platform that is about 4-6 inches high. Stand with your feet hip-width apart and jump onto the step or platform at least 15 times. Repeat after walking around the platform in a complete circle. Squats - stand with your feet hip-width apart and place your arms to your side. Pretend there is a chair behind you and almost sit bringing your arms out in front keeping your back flat and abdominal muscles pulled in. 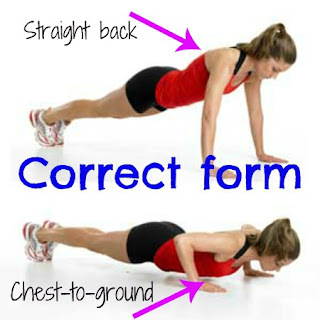 Push-ups - begin on your knees or feet and place your hands shoulder-width apart on the step or platform. Inhale as you lower your body to the step and exhale as you push yourself up. Repeat for 15 repetitions. Pay attention to your form while doing push-ups, you want to do them properly to get the full effect. Tricep Dips - sit with your back to the step and place your hands behind you on the step. Lift and lower your body using your tricep muscles to do the work keeping your elbows in line with your wrists. Repeat 12 times. Lunges - stand with one foot on the step and place your other foot behind you so that your front knee is over your heel. Lower your body keeping your shoulders in line with your hips at least 12 times for each leg. Repeat on the other leg. 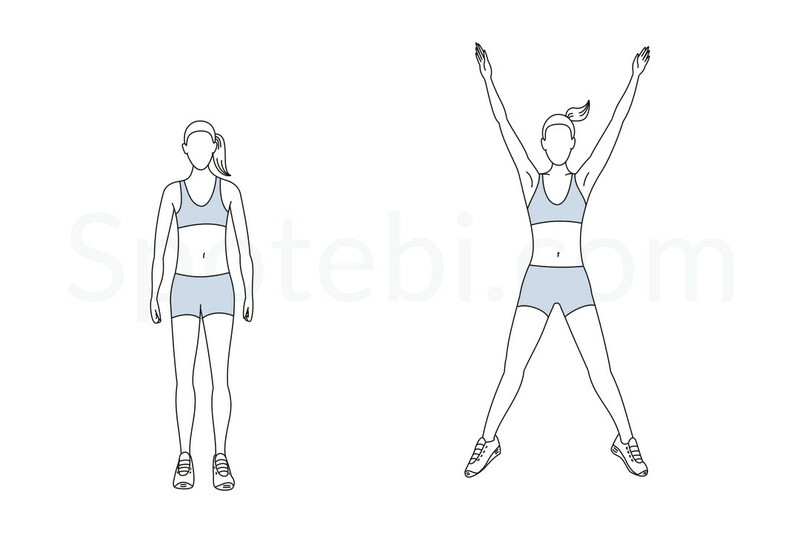 Jumping Jacks - These old school exercises are actually amazingly effective as they get your heart racing fast, use both upper body and lower body simultaneously, and they require minimal space to do. Jumping Jacks are amazing at boosting heart rate and consequently your metabolic rate.